The name “Nebula” (Latin for “cloud”) was selected because with its bridges distinctively radiating from the perimeter of the dial toward the center, the sculptural movement looks like an inverted, exploded star. Nebulae, an astronomical term describing a cloud of cosmic gas and dust, are formed from the debris of exploding stars and constitute the regions in our universe in which new stars will born, a stars nursery. 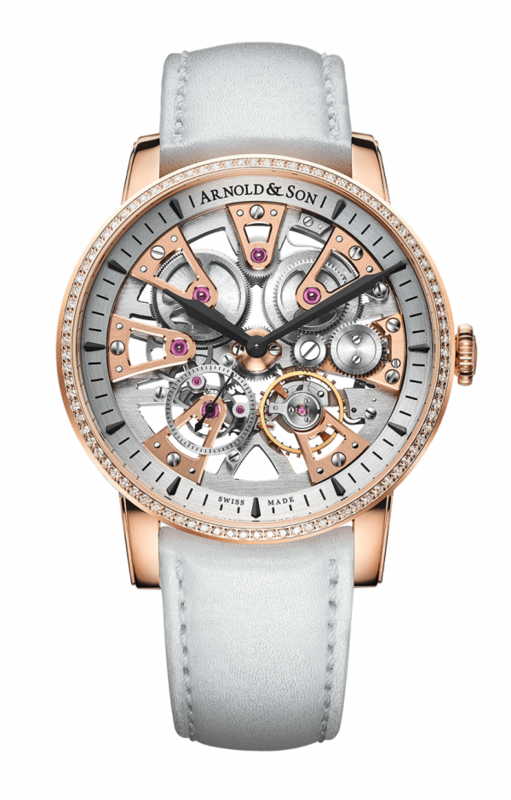 The Nebula Lady is a limited edition of 50 timepieces. Swiss Watch Gallery is Malaysia’s leading luxury watch retailer offering a most comprehensive selection of timepieces from the world’s most beloved watchmaking names. We cater for watch enthusiasts and collectors as much as we do for the first-time watch buyer. © 2019 Swiss Watch Gallery. All Rights Reserved. Make an appointment with a Swiss Watch Gallery associate to begin your journey to find your perfect timepiece. Be the first to hear about new arrivals, invitation-only sales and special events.